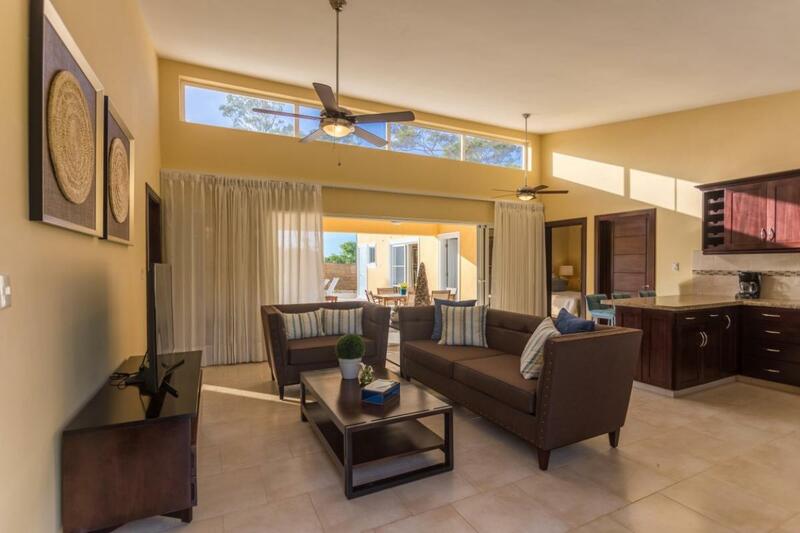 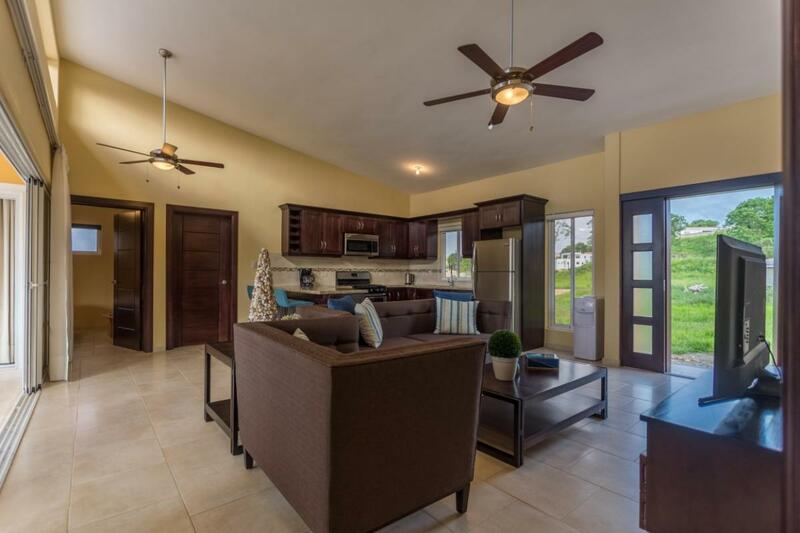 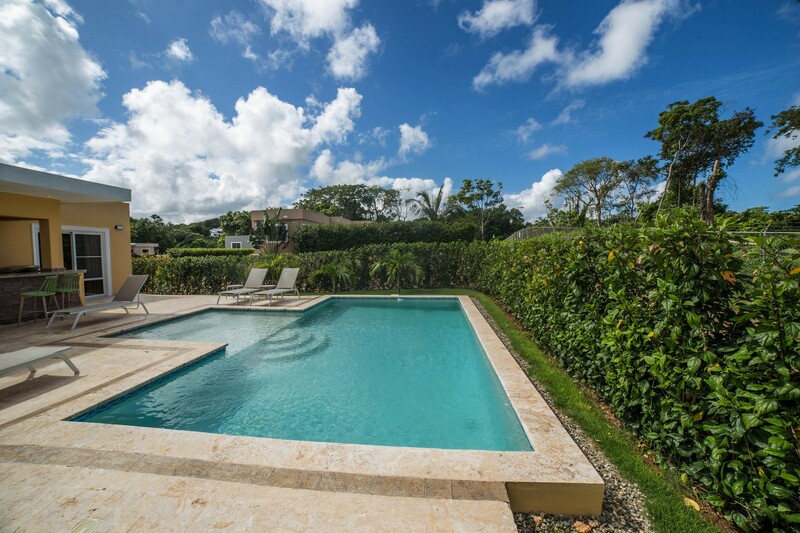 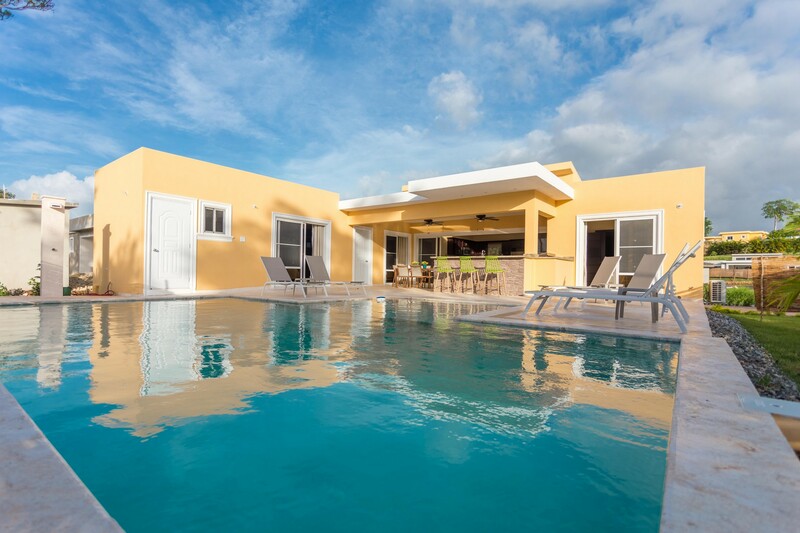 Just steps from the Amenities this Professionally Decorated and Well-Designed Caribbean Villa provides the ultimate in Comfort and Style. 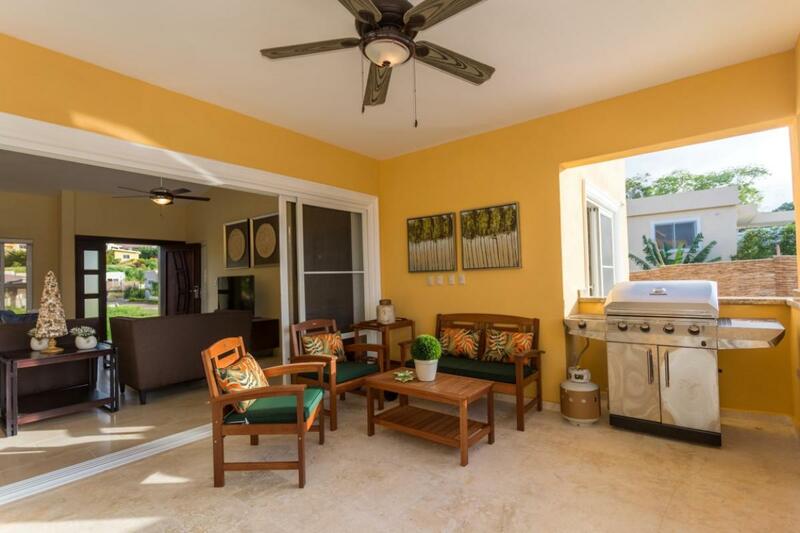 Patio Sliders open wide onto the Spacious Terrace combining the best of Outdoor-Indoor Island-Living. 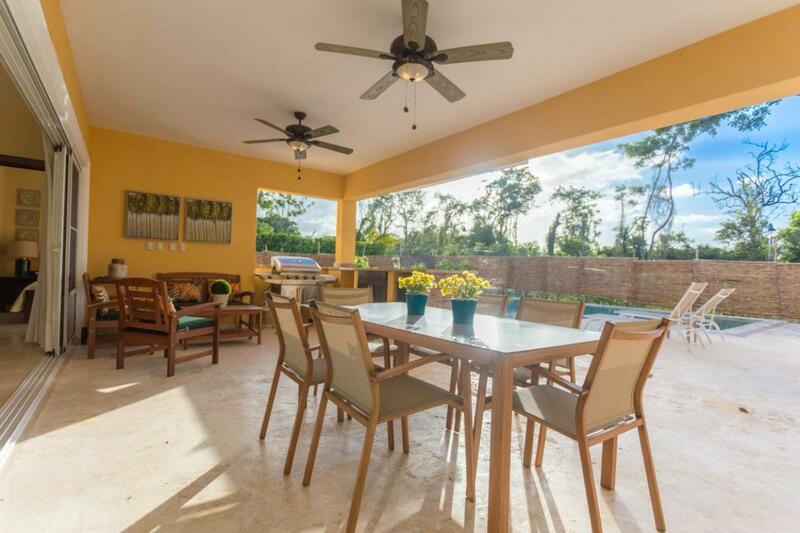 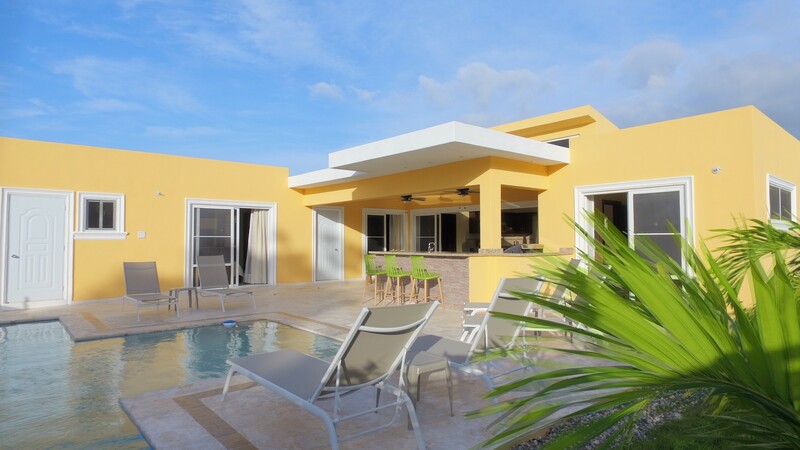 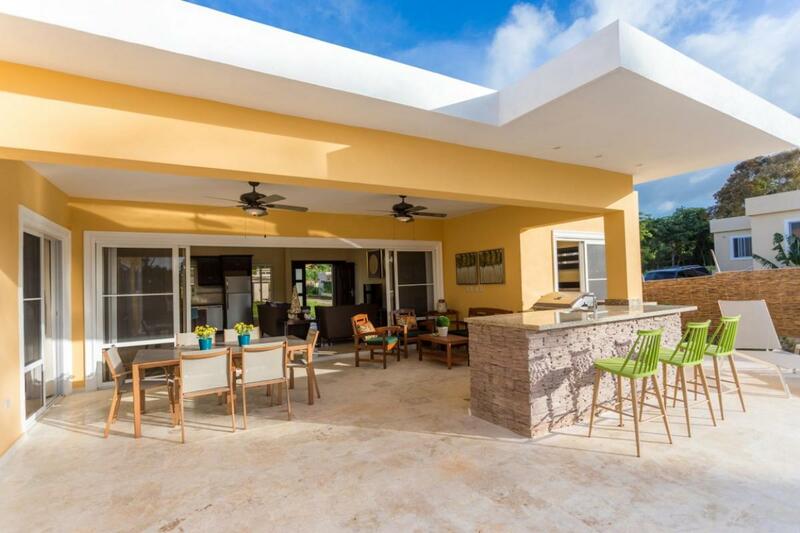 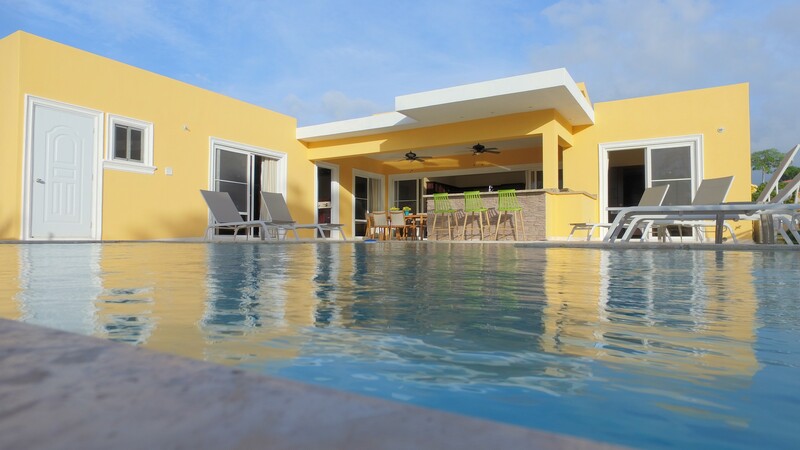 Chill in your Tropical back-yard with Outdoor Bar & BBQ while overlooking the beautiful shades of blue in your Private Pool. 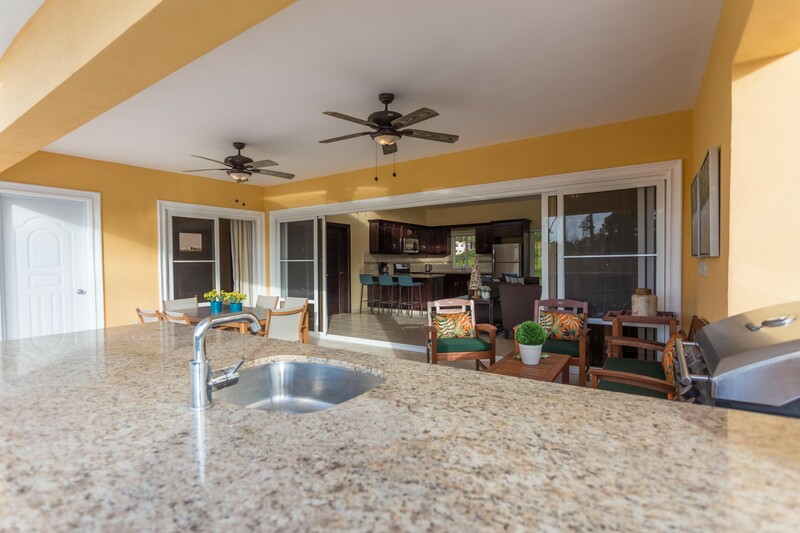 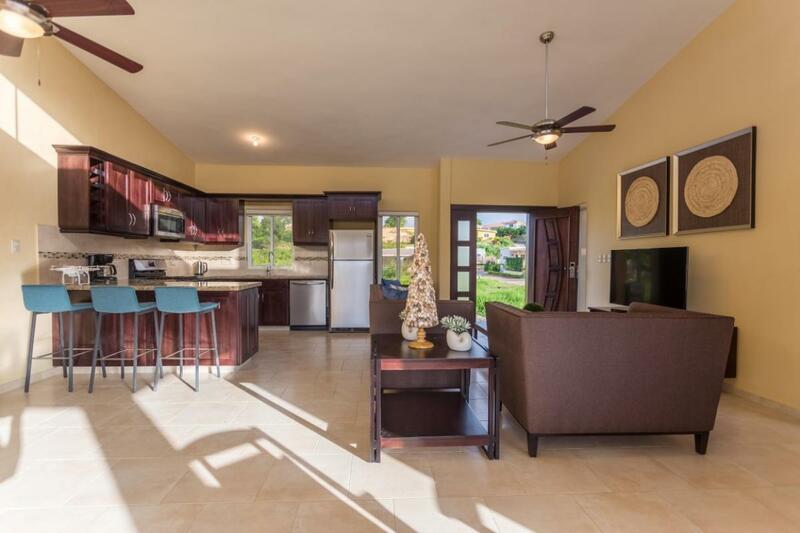 Cook amazing meals in the Well-Stocked Kitchen and find Complete Relaxation after a wonderful day in the Dominican Sun. 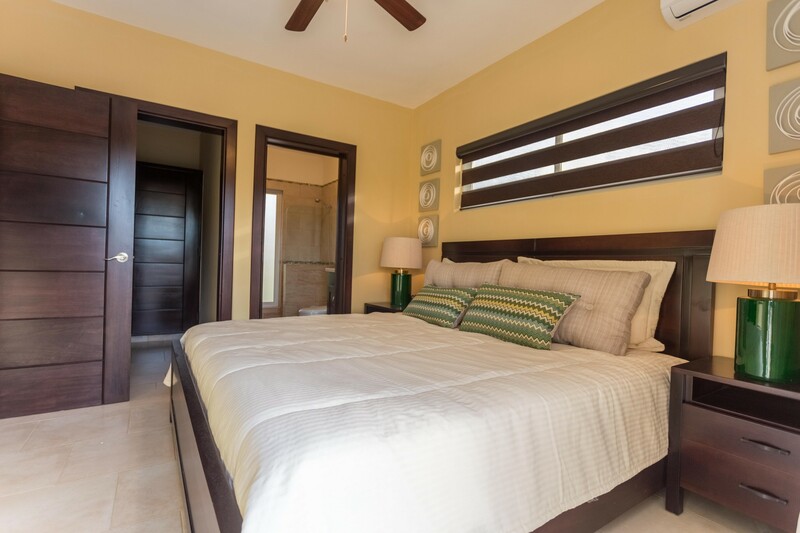 Both Bedrooms have Comfortable Large Beds each with their own Private Ensuite. 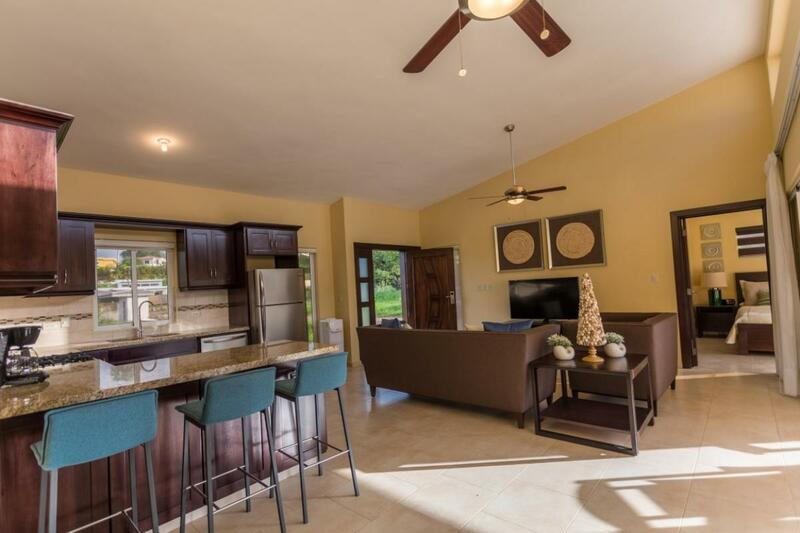 This Villa is Conveniently located close to the Tennis Court, (Soon to be complete Aqua Park), Mini-Golf, Variety store, Restaurant & Welcome Centre. 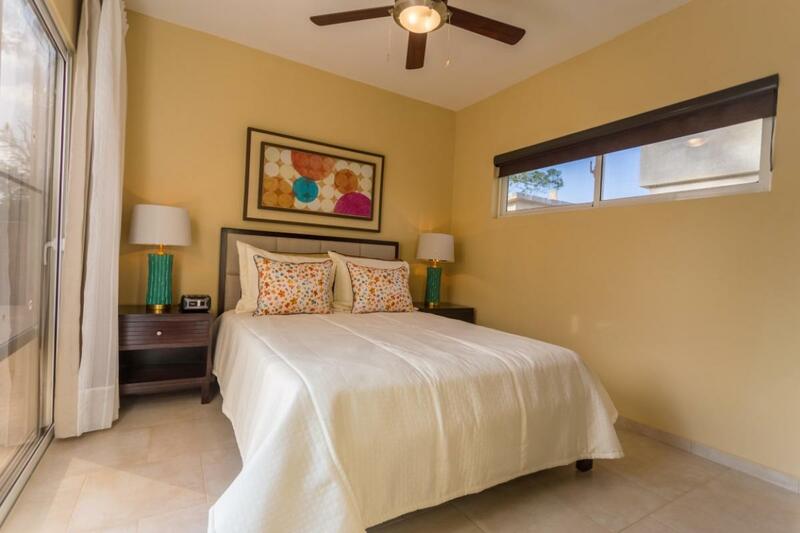 ASK FOR OUR 2 BEDROOM RATES.